What’s more, if you’re over 50 and taking other medications, such as an antipsychotic drug, this medication significantly increases your risk of dying from drug interactions. Fortunately, you don’t have to take this drug to reduce your anxiety. There are better – and safer – alternatives. Back in 2004, a study found that when patients took Seroquel, one of the most frequently prescribed drugs for folks in nursing homes, their Alzheimer’s got worse! And the effect wasn’t small. The study followed 93 patients with dementia in England over a period of six months. Those in the study taking Seroquel experienced a doubling in cognitive decline compared with the control group, who received the placebo. And the drug caused their memory and other brain functions to deteriorate rapidly. Today, 15 years later, this drug is still one of the most commonly used drugs in the aging population (usually in the generic form – so you may not recognize the name), so this study is still very important. If you have a loved one using this drug (or its generic quetiapine), they need to stop it immediately. There’s a good scientific reason Seroquel hastens dementia, even in folks who don’t have Alzheimer’s. Seroquel replaced risperidone and olanzapine after researchers learned that those medications increase your risk of stroke. But Seroquel isn’t much better. Seroquel is an anti-psychotic drug, a class of drugs that’s linked to a higher incidence of diabetes. Data from a recent medical conference in Philadelphia showed patients who took Seroquel were more than three times as likely to get diabetes as those who took the drugs it replaced. The study showed that all of these drugs were linked to a higher risk of diabetes. But the risk of diabetes was greatest with Seroquel! It’s quite possible this diabetes link is the reason Seroquel causes dementia. When your blood sugar goes up, often your triglycerides go up, too. According to a new study in the Journal of Lipid Research, when triglycerides are high, the brain cells get loaded with a substance called beta amyloid. This substance forms plaque in the brain of an Alzheimer’s patient. Keeping beta amyloid at the lowest possible level is important for all of us. If Seroquel triples the risk of diabetes, it probably loads the brain cells with beta amyloid, causing dementia. Seroquel can cause other problems as well. The scariest is the increased risk of death in the elderly who take other medications – particularly anti-psychotic drugs. These are common in those who suffer from dementia. The study that confirmed this risk looked at 17 placebo-controlled trials. The research found that the risk of death in drug-treated patients was “between 1.6 to 1.7 times the risk of death in placebo-treated patients. Over the course of a typical 10-week controlled trial, the rate of death in drug-treated patients was about 4.5%, compared to a rate of about 2.6% in the placebo group. Although the causes of death were varied, most of the deaths appeared to be either cardiovascular (e.g., heart failure, sudden death) or infectious (e.g., pneumonia) in nature.” That means the drugs undermine the health of your heart and they destroy your immune system. But that’s not all. The drug can cause tardive dyskenesia, which is a permanent movement disorder caused by this and many other drugs. If you experience uncontrollable movements of the mouth, tongue, cheeks, jaw, arms, or legs, seek emergency medical help immediately. Another problem Seroquel can cause is Neuroleptic Malignant Syndrome (NMS), which is a potentially fatal side effect. Call your doctor immediately or seek medical attention if you experience fever, sweating, severe muscle stiffness (rigidity), confusion, fast or irregular heartbeats. These could be symptoms of NMS. It’s vital you avoid Seroquel! There are far better ways to alleviate symptoms of anxiety without any drugs. Anxiety is usually caused by a deficiency of the brain chemical GABA. Since GABA is available over-the-counter at the health food store, it’s an easy treatment for anxiety. This is especially true for folks who are on other medications because it’s a very safe amino acid. You can take 500 mg of GABA anytime you feel anxious. Take it between meals, three times a day. Take it at bedtime. You can even take it as you board an airplane. This amino acid can have a non-sedating calming effect. GABA can be used safely several times a day. And, most importantly, it won’t cause dementia or any other negative side effects! If your anxiety is causing other health problems, there’s a great remedy for that too. If you struggle with anxiety, you may notice that you also struggle with other health challenges, such as depression, insomnia, stress, bi-polar disorder, and maybe even paranoia. That’s because anxiety causes your body to become over-stimulated. When that happens, any number of problems can arise. Fortunately, five studies have shown how you can take one tasty treatment and help reverse many of these problems. The studies started back in 2010, when researchers found that cannabidiol from hemp reduced the symptoms of social anxiety disorder (SAD). This wasn’t just a study about how the participants felt, though they definitely felt less anxiety. The researchers conducted brain scans of the participants and found significant changes in blood flow to the regions of the brain linked to feelings of anxiety. So there was a clear physiological cause for the improvements. Then, in 2011, another group of researchers also found that cannabidiol from hemp reduced social anxiety. In this case, the anxiety came from a fear of public speaking, one of the most common fears people experience. So the effect was quite powerful. From there, research began to spread out to see if the cannabidiol from hemp could help more than anxiety. For instance, in 2014, researchers saw that CBD oil had both anti-anxiety and antidepressant effects on animals. Because of this success, other researchers wanted to see if CBD oil could offer any promise in treating numerous forms of anxiety. These included social anxiety disorder, panic disorder, obsessive-compulsive disorder, generalized anxiety disorder, and post-traumatic stress disorder. This study, conducted in 2015, was an analysis of previous studies, found that CBD oil held tremendous promise in treating all of these challenges. Then, just three years ago, the research went a step further. In this case study, researchers wanted to see if cannabidiol from hemp could reduce symptoms of post-traumatic stress disorder (PTSD) and anxiety-provoked sleep disorder. The specific case was a child with a history of trauma. The study found clear evidence that the cannabidiol from hemp reduced the child's anxiety and helped her sleep. Since 2016 more studies have shown similar results – CBD can treat many anxiety disorders very effectively and most people respond almost immediately. The results are dramatic. What’s more, taking CBD has never been easier. New CBD gummies are the latest treatment method. They taste great and they’re fun to eat. You can order certified THC-free gummies with a standardized dose of exactly 10 mg. These gummies are standardized to deliver exactly 10 mg of CBD per gummy. That makes them unique in the CBD gummy world. You can count on the exact same dose every time you take a gummy. You can order Full Spectrum Hemp’s gummies by following this link. You may not realize it, but anxiety and stress are two sides of the same coin. Both can lead to insomnia, exhaustion, excessive worry, lack of focus, and irritability. And they can even cause physical symptoms, such as rapid heart rate, muscle tension, and headaches. Doctors often call anxiety a disorder. However, both of them indicate something is out of order. And nutrients that help one can often help the other. Multiple studies have showed conclusively that stress can take a tremendous toll on our brain. So can anxiety. In fact, many people begin to decline significantly after they lose a spouse, a child, or have some other major emotional trauma. Fortunately, there's a way to protect your brain and even help it recover after a stressful situation or bout with anxiety. When your body gets out of whack during stressful events, it's important to bring it back to normalcy. One of the best ways to do that is to use herbs and other nutrients that act as adaptogens. Adaptogens help the body rebalance. And there are an abundance of studies to show it does just that. Back in 2011, researchers conducted a review of 11 randomized placebo-controlled human studies on the adaptogen Rhodiola. Rhodiola has been used for centuries to combat stress, anxiety, mental illness, and memory loss. Of these 11 studies, six investigated the effects of Rhodiola on physical performance. Four of them looked at mental performance. And two of them focused on patients diagnosed with a mental health condition. The researchers conducting the review considered all of the studies to be of moderate to good quality. And the participants experienced only a few mild adverse events, usually headaches. The reviewers found that the Rhodiola clearly had beneficial effects on physical performance, mental performance, and certain mental health conditions. But Rhodiola isn't the only adaptogen that can have similar effects. Siberian ginseng (also known as Eleuthero), cramp bark fruit, hawthorn, and schisandra (among others) all can help your body deal with stress and anxiety. Schisandra, in particular, seems to be a very potent memory enhancer, stress reliever, and all-around performance booster. Many studies have shown how berries like schisandra act as adaptogens to help overcome stress and anxiety. 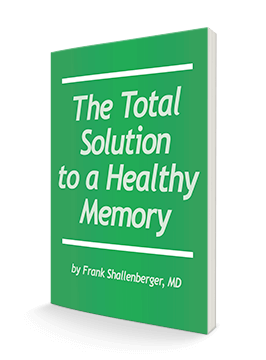 One study on rats completely reversed spatial memory impairment. So it's definitely worth a try if your stress has impaired your memory. Unfortunately, you're not likely to find schisandra in its berry form at your local grocery store. Its flavor isn't for the faint of heart, as it's commonly called the five-flavor berry. That's because it can feature all five of the taste senses at once. These include sweet, salty, sour, bitter, and pungent. Most people want sweet berries. So schisandra hasn't caught on in the U.S. That means it's easiest to take this berry in supplement form. You’ll find that these nutrients can ease your anxiety at least as well as the medications – and without the side effects. Journal of Lipid Research, September 15, 2004.